Students at The Sixth Form College, Solihull got a head start with their Higher Education choices this week, as the annual Higher Education & Higher Apprenticeships Fair took place, with 82 institutions in attendance. 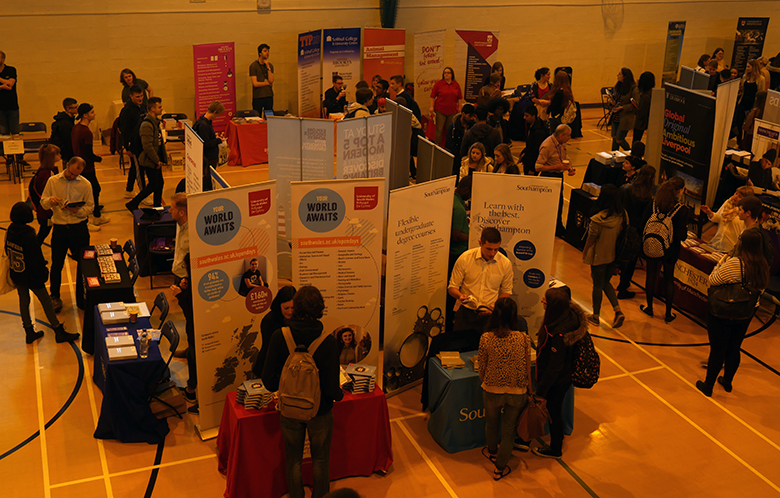 One of the biggest such events of its type in the country, the Fair saw university, apprenticeship and training providers setting up with stalls in the Sports Hall and Dance Studio. Among the institutions present were prestigious universities such as Birmingham, Bristol, Aston, Cambridge, Durham, Manchester, Nottingham, Sheffield, Warwick and York. Students spent the morning walking around the hall to pick up prospectuses and talking to representatives from these universities. Other organisations represented were employers offering local higher level apprenticeship opportunities as an alternative option to university. Among these organisations were BMW, KPMG, Mazars, PWC, City Year Birmingham and Couch Perry Wilkes. 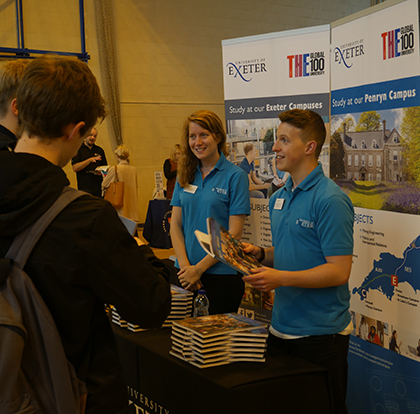 Some had ex-College students on their stands, who were able to talk to current students about why sponsored degree programmes and apprenticeship programmes are a good alternative to university. In addition, a host of expert speakers came into College for a seminar programme, with experts in a wide range of fields of study and careers present to talk to the students. Among the subjects of these seminars were Business Management & Accounting, Pharmacy, Sports Science, Economics, Computing, Medicine, Nursing, Teaching, Law and Media. Each year approximately 750 students progress onto Higher Education from the College; indeed The Sixth Form College, Solihull is the largest provider of undergraduate students in the region.